According to the estimations of the CPHC, the demand for new staff in the UK IT sector is between 150,000 and 180,000 people per year, yet there’s still an annual shortfall of around 40,000 skilled professionals. What's more, the European Commission states there will be 900,000 unfilled IT jobs across the EU in 2015. The opportunities are vast, career paths and jobs are varied, challenging and well-paying, yet there are still not enough young people pursuing a career in IT. What can be the reason for this rather paradoxical situation? It’s what they call the IT skills gap. As written very accurately by Wired.co.uk: “We have a bold ambition for the UK to be a leading information economy; however getting there will be a task not just for the Government and its central policies, but one for the industry.” But what can the industry do to help the process? It’s a no-brainer: hire apprentices. 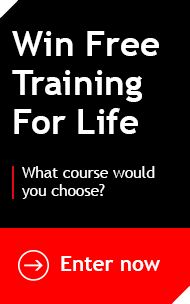 Attracting school leavers and other talented youngsters and persuading them to pursue a career in IT isn’t always easy, but more and more companies are recognising the value of apprentice schemes and hire hundreds of apprentices each year. The UK’s largest skills and careers event took place last week at the NEC Birmingham. 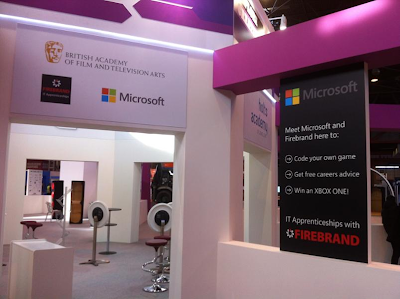 Firebrand co-exhibited with Microsoft and BAFTA to answer the questions of aspiring apprentices and teach them how to code their own games. "We need to get beyond this rather fusty, old-fashioned view that the only good thing for a young person to do after school or a college education is to take an academic qualification. There are lots of really, really bright youngsters who will provide the economic backbone of this country for decades to come who just don't want to have their nose stuck in a book for three years. They are people who actually want to get their hands dirty, literally and metaphorically. They want to learn while they earn." 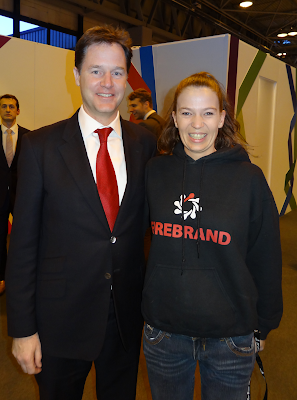 Mr Clegg said he had met motivated and committed young people during his visit. He also added that he’d be happy to see his children choose an apprenticeship over a degree.